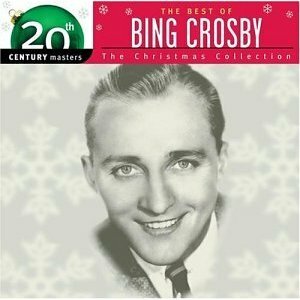 Bing Crosby has been an indelible part of the Christmas experience since recording the original version of Irving Berlin’s “White Christmas” in 1942, and as the years pass Louis Armstrong pops up with increasing regularity on holiday playlists and collections, getting the most out of his meager but impressive Yuletide testimonials. 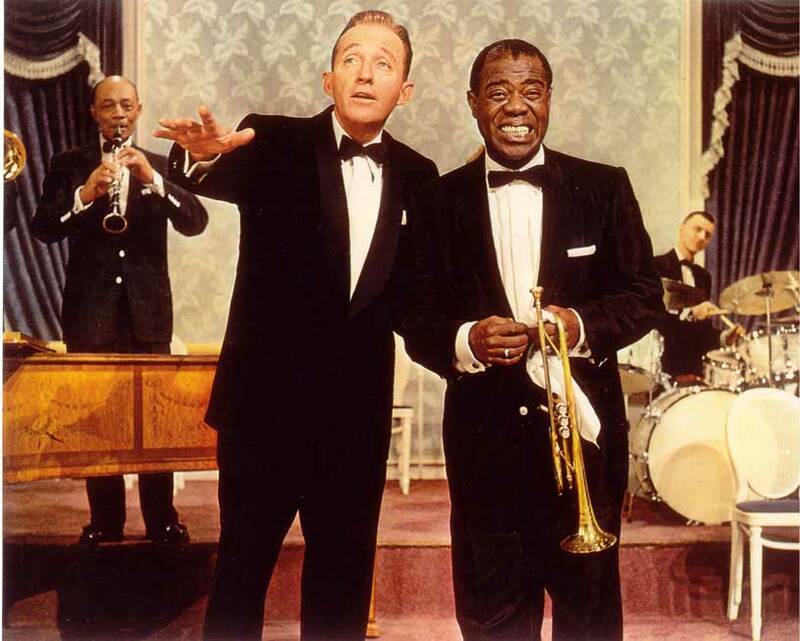 For aficionados of Christmas music, a Yule without Der Bingle or Satchmo would be comparable to finding a lump of coal in the stocking on Christmas morn. 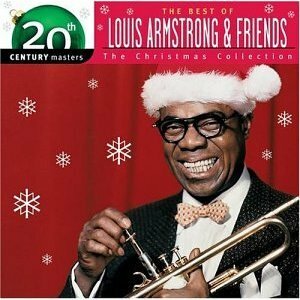 Though several compilations of Armstrong’s holiday recordings exist—always packaged along with offerings from other artists—the must-have, and most complete, among these is The Best of Louis Armstrong & Friends: The Christmas Collection, a 2003 Hip-O reissue of its 1993 CD, Louis Armstrong & Friends: What A Wonderful Christmas. Should have kept the original subtitle, because this one is indeed wonderful, and then some. It kicks off with Louis’s robust, swinging classic from 1955, “Christmas In New Orleans,” with Louis and His All-Stars accompanied by the powerhouse Benny Carter Orchestra. The lyrics Louis chews so deliciously reference his beloved Crescent City (“you’ll see a Dixieland Santa Claus, leading the band/to a good ol’ Creole beat/and golly, what a spirit, and you can only heart it/down on Basin Street…”) and he cuts out on a striking trumpet solo about halfway through before sending it home with a big brassy ending. 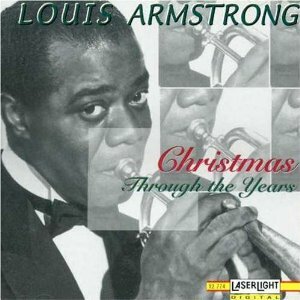 A similar energy infuses another ’55 track with the Carter Orchestra, “Christmas Night in Harlem,” which is as remarkable for its rich horn chart and strutting trumpet solo as it is for Louis’s jovial reading. From 1952 Louis assays “White Christmas” with warm, deliberate articulation, and gets a splendid assist from the lovely string arrangement executed by Gordon Jenkins and His Orchestra. Also from 1952, Jenkins and Orchestra back Louis with a laid-back, bluesy arrangement perfectly mated to the singer’s genial, folksy delivery, all serving to enhance the song’s dreamy mood and close the album on a soothing note. With the Commanders in tow in 1953, Armstrong leads the way through two frisky novelty numbers, the first being “Cool Yule” (“so dig,” Louis sings, “Santa comes on big!”), which was penned by Steve “I Wrote 2,000 Songs” Allen, who apparently objected to some liberties taken with his arrangement by producer Tutti Camarata, who had more music in his pinky than the hapless Allen had in his entire, mostly forgettable oeuvre. Allen’s appropriate response should have been, “Yes, Mr. Camarata, whatever you say, sir. I’ll be happy to cash the royalty check.” The other tune from this session with Camarata and the Commanders is “’Zat You, Santa Claus?,” an occasion for Louis to add his own distinctive comedic flair to the querying lyrics directed at an elusive Saint Nick, who seems to be striking some fear in Satchmo’s heart. As for the Friends of Louis, all perform commendably, even memorably, starting with Eartha Kitt’s immortal, sensuous come-on from 1953, “Santa Baby,” with that kitten-ish, cooing vocal, all cool heat on a cool Yule, the better for her to angle for her romantic investment to yield some material dividends (“Santa baby, just slip a sable under the tree, for me…a ’54 convertible, light blue, I’ll wait up for you, dear, so hurry down the chimney tonight…”) in what is one of American music’s most spectacular double-entendre performances. Eartha is a hard act to follow, but Dinah Washington gets the job done by going in exactly the opposite direction, towards ennobling reverence, in treating “Silent Night” like the church hymn it originally was, complete with a supporting choir humming behind and shadowing her dignified reading. Ditto for Peggy Lee, recording “It’s Christmas Time Again” in 1953, with a sweet, soothing, innocent disposition made all the more engaging by the support of delicate music box chimes. The other outstanding female vocalist to make her mark here is Lena Horne, with a typically jazzy rendition of “Santa Claus Is Coming To Town,” her trademark sultriness and asymmetrical phrasing supported by an orchestra skilled in responding to the lady now cutting loose, now pulling back, now roaming at will. On the male side, Armstrong has plenty of competition. Louis Jordan, from a 1951 session with his big band, offers up a beautiful, spiritually oriented R&B ballad, “May Everyday Be Christmas,” singing in a mellow baritone he didn’t often employ in his usual, raucous guise, with the arrangement further spiced by expressive organ chording courtesy Jordan’s arranger, Wild Bill Davis. More overtly bluesy and horn-driven, Lionel Hampton’s alternately simmering and roiling treatment of the classic “Merry Christmas, Baby” features vocalist Sonny Parker in a fine, high tenor pleading mode, along with a tasty vibes solo by Mr. Hampton himself about halfway through, and a signature trilling piano lick throughout the R&B ballad. Not least of all, certainly, is Duke Ellington, from 1962, giving “Jingle Bells” “A-Train”-like propulsion in a Mercer Ellington arrangement rich in textural contrasts between horns and woodwinds as the song bustles to a soaring climax. Bing Crosby and Marjorie Reynolds in the 1942 film, Holiday Inn, in which Bing introduced Irving Berlin’s ‘White Christmas.’ Reynolds’s singing voice was dubbed by Martha Mears. As for Der Bingle, what to say but that he elevated the Christmas song and carol to new aesthetic heights with his smash hit original recording of Irving Berlin’s “White Christmas” in 1942. Reportedly the biggest-selling artist/title pairing in music business history, “White Christmas” brought out the best in Crosby’s warm, crooning style—the soulful introspection and sensuous intimacy of his reading, the wistful shadowing amidst his hopeful longing, even the clear, evocative whistling he did in the original recording. Until recently the 1942 version had been almost impossible to find, supplanted as it was by Bing’s 1947 re-recording, the most often heard version of the song (the story is he had to record it again because the original master was worn out from so many copies being pressed). It was finally reissued on CD in 1997 in a first-rate collection titled Bing’s Gold Records, a worthy single-disc overview of the artist’s early Decca years, most of it having nothing to do with Christmas at all, but all of it Grade A quality. The original is now available in the context of a wealth of superb holiday recordings from the Crosby files over the years gathered together on MCA’s essential 18-track The Christmas Collection. Also on board is his mammoth hit recording of “Silent Night” (Bing recorded this one five times for Decca between 1935 and 1954), and a variety of flavors ranging from the sacred (“Adeste Fideles,” “The First Noel”), to the novelty (“Rudolph the Red-Nosed Reindeer,” “Santa Claus Is Coming To Town,” a delightfully syncopated and Dixieland-tinged “Jingle Bells”), to classic pop evergreens (“The Christmas Song,” “Sleigh Ride,” “I Heard the Bells On Christmas Day”). Suffice it to say Bing Crosby’s artistry blossomed abundantly on this seasonal fare, and it’s not too far-fetched to suggest that the all consuming commitment to and intelligence of his earliest Christmas recordings directly inspired Frank Sinatra not only to emulate Bing’s template but to go the extra mile and make Christmas songs an indispensable part of his musical narrative through the years. Crosby and Sinatra scholars will always debate who did what better, but when it comes to this time of year, the music wins big, and so do the fans.